There have been some beautiful dresses in 2016 and we have had the great pleasure of being involved in so many incredible weddings. Thank you to all the wonderful brides who have supported us. If you're getting married in 2017 we would love to see you in one of our boutiques in London, York or Harrogate. We have exciting new collections which we look forward to showing to new brides to be! Pronovias is known for its huge choice of flattering styles to suit a variety of tastes and figures made in the finest bridal fabrics. Their new 2017 collection carries on this trend with glorious details, particularly on the shoulders, waist, neckline and back. One of our personal favourites from the new collection is 'Adela'. A wedding dress with an overskirt for brides who cant decide between a mermaid and a princess cut; the best of both worlds! We love the simplicity of the 'Anabel' gown's silhouette paired with the intricate low lace back. 'Olga' is our first short wedding gown from Pronovias! 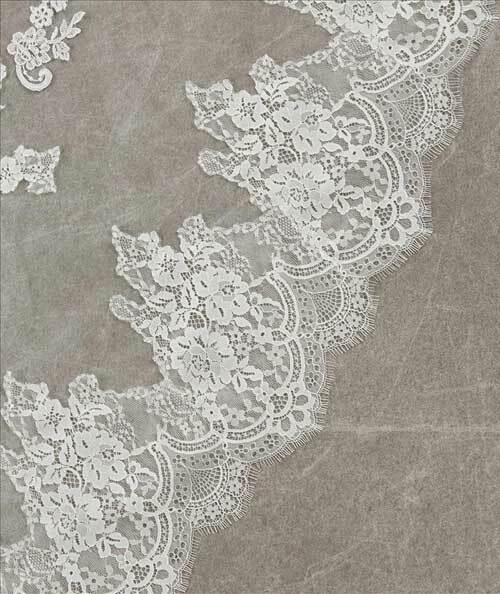 Made with soft romantic lace, it's feminine vintage style is perfect for a more relaxed wedding. Atelier is Pronovias' haute couture range with a focus on superb quality. The 2017 collection boasts delicate, flowing and comfortable dresses for elegant brides. This simple crepe gown 'Nuria' is bridal sophistication at its very finest. 'Edith' an ultra feminine mermaid wedding gown with a strapless sweetheart neckline and a removable full overskirt providing an extra touch of elegance! Renowned for his glamourous and luxury creations, Ian Stuart does not disappoint with his new collection 'Unforgettably me!'. Using beautiful silk, satin, lace, taffeta, tulle and many exciting embellishments his 2017 collection dazzles. With inspiration from classic Dior designs this stunning gown 'Glitterbomb' is so glamourous it looks like it belongs on the silver screen. Sure to make anyone feel like a movie star on their big day! The structured, asymmetric dropped waist bodice on this new 'La Fayette' wedding gown make it fabulously flattering, followed by beautiful waves of soft fabric for a dramatic full skirt. Looking for a unique bohemian style wedding dress? Well look no further because Rembo Styling has the perfect handmade wedding gowns to suit a relaxed, fashion forward, boho wedding. Their 2017 collection combines soft draping fabrics with delicate embellishments to evoke creativity and emotion in each of their designs. This 'Feminine' gown by Rembo Styling is just that, feminine! Beautifully soft floaty fabric with delicate lace inserts give this pretty design an ethereal feel. 2016 was an exciting year for Eliza Jane Howell in which their designer Gill Harvey was voted Best Bridal Designer by the first ever UK Wedding Awards. We believe that with their beautiful new stardust collection they're bound to have another winning year! The intricate beaded design of the 'Zenith' dress concentrates at the waist to create sophisticated curves on this 1920 style. Soft draping and twisting of the beaded fabric makes this 'Columbo' gown fall beautifully. La Sposa features fine materials, reinterpreted to creat wonferful, graceful bridal garments. The new 2017 collection is sophisticated, with flowing silhouettes that enhance the bride's natural beauty. We have fallen head over heals with the full tulle skirt on the 'Halar' gown. With delicate floaty lace cap sleeves and deep v- back the 'Huberta' gown is the epitome of sophistication. 'Heno' is a classic fishtail shape with the most beautiful layered lace. A new designer to Bridal Rogue Gallery! We were wowed by the casual elegance of their Willowby collection, with slim floaty silhouettes they were a perfect new addition. The quietly extravagant low lace back on the slim 'Caracas' gown. Ethereal and elegant, this 'Amelie' gown embodies romance with heirloom lace sleeves and applique detail. Lou Lou makes vintage inspired dresses, focusing on tea length beauties. This years Divine collection uses soft tulle and organza, flower patterned lace, high shine satins and beautiful brocade to create well cut elegant but affordable designs. Soft gold tones give the 'Rita' dress a beautiful vintage feel. We adore the polka dots and voluminous bow on the "Nellie" gown. The pretty pink flower sits perfectly around the waist on this lace "Daisy" dress. To compliment our beautiful, varied wedding dresses we also stock some fabulous bridal accessories to complete your look! The buttery soft leather creations by Rachel Simpson are sooo comfy and timelessly elegant. Stephanie Browne creates high end vintage inspired bridal jewellery to make sure you shine on your big day! 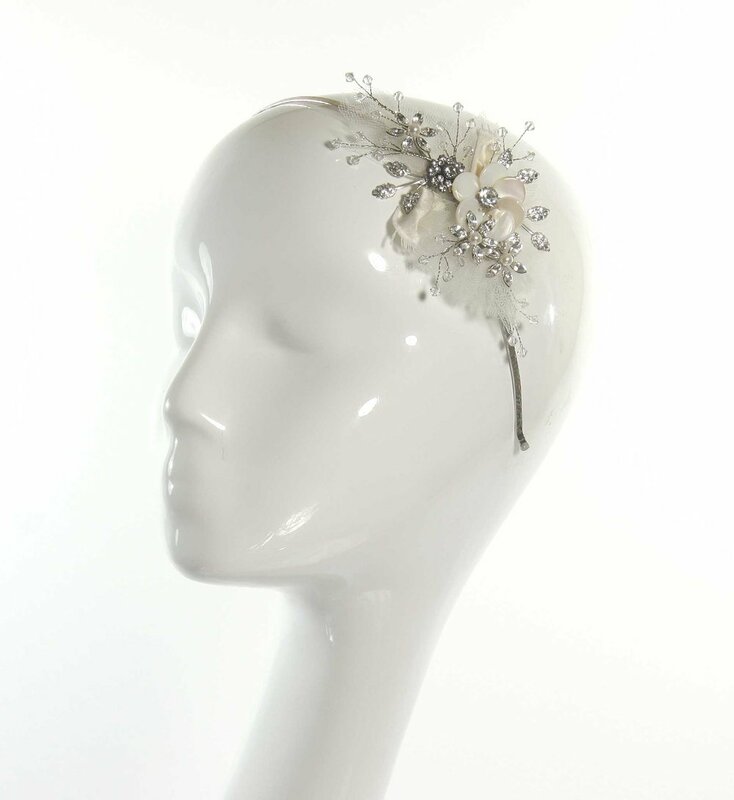 We have so many fantastic headpieces and combs from Halo & Co's bridal collection. As well as being able to order veils to match many of our dresses we also hand make veils ourselves, so there's plenty of choice. We also look forward to some new dresses from House of Mooshki (with the famous Mooshki Twirl! ), as well as some fabulous new shoes and accessories.